"Please, O King," cried the Mouse, "spare me this time and I shall never forget your kindness. Someday I may be able to repay you." The Lion was so amused by this idea that he let the poor creature go. In sixth-century Greece, it is said, there lived a slave named Aesop who was renowned for his brilliant storytelling. 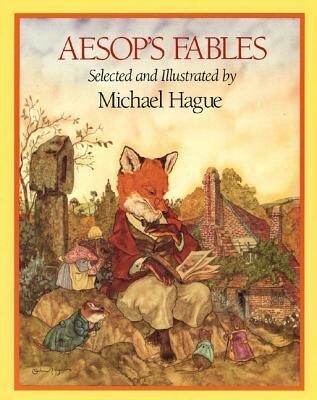 The collection of sly, witty fables that bears his name continues to delight readers of all ages. Michael Hague has selected his favorite fables and illustrated them with beautiful paintings in the style that has made his work so popular. Michael Hague lives with his family in Colorado Springs, Colorado.